The Local Government and Environment Committee has heard submissions on the Resource Management Reform Bill and has reported the Bill back to Parliament. Regrettably the blanket removal of tree protection is maintained and if enacted the blanket protection of trees in Titirangi and Laingholm will be no more. I blogged previously about the Resource Management Reform Bill and the threat it poses to Titirangi’s trees. 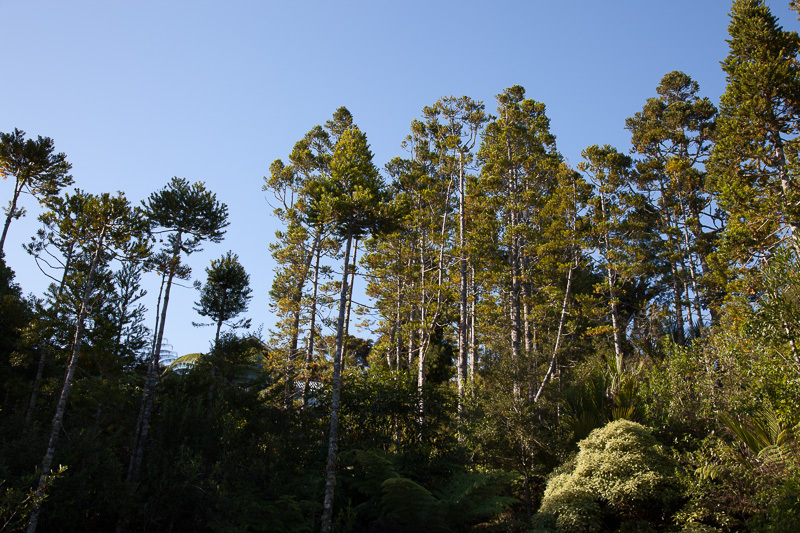 The bill proposes the removal of blanket tree protection and for a Titirangi Tree to be protected it, or a group of trees that it is in, will have to be specifically identified in a schedule to the District Plan. The current tree protection rules would be gone and the fear would be that the day after the rules were removed a chorus of chainsaws would be heard in the valleys of Titirangi and the area would be gradually but fundamentally changed. On behalf of the Waitakere Ranges Local Board I went to the select committee and made submissions. I pointed out that trees were wonderful things, they were integral to the amenity of Titirangi and they were vital for maintaining stability in an area that is stability sensitive. I suggested that the existing subdivision pattern in the area was predicated on current tree and bush coverage remaining. We fell trees in Titirangi at our or our neighbour’s peril. I also pointed out that the proposed protection mechanism, the scheduling of trees, would be cumbersome and excessively bureaucratic. A recent scheduling exercise, plan change 41, had protected 188 trees but only after 4 days of hearing, and the hearing and reading of 94 submissions as well as the arboreal examination of each of the trees. My very rough estimate is that there are approximately 1,500 affected sections in Titirangi and Laingholm, and that the average number of trees per section is 100. To protect each tree would require 150,000 arboreal examinations and on a pro rata basis 3,000 hearing days. I described the scheduling system for protection as “hopelessly unfit for purpose”. There has to be a better way to protect Titirangi’s trees. The Auckland Council planners had a helpful suggestion and proposed that the Council be permitted to at least identify trees spatially so that a simple map could be used to show trees that should be protected. With the advent of google maps such a process could simplify what would otherwise be an onerous process. Unfortunately the majority of the select committee did not agree and have proposed that not only the intent of the original changes remain but that the use of spatial identification of trees be specifically ruled out. They also have clarified a question that I raised about whether bush clearance rules still applied by stating that blanket tree protection does not apply whether or not the section is bush clad. This could mean that bush clearing rules may survive but clearly blanket tree protection rules will not. “Submitters on this part of the bill, such as the Tree Council and the Environmental Defence Society, explained how the felling of one tree in parts of West Auckland where there are tree-clad hills and steep terrain can affect another adjacent property by virtue of the stabilising properties of tree roots. This was a very good example not simply of the amenity value of trees in the urban environment, but of their intrinsic worth for drainage, moisture absorption, and ground stability, as well as the interdependence of properties adjacent to each other. “The bill compromises urban amenity by its making it much harder for councils to protect and control the loss of urban trees. The bill will effectively allow landowners to trim or fell any urban trees with no need for a resource consent, unless the trees are individually described and their location legally identified in a plan schedule. It overturns a 2010 Environment Court decision which upheld councils’ ability under section 76 of the RMA to have general plan rules which required a resource consent to, for example, fell or trim urban trees of a particular species (such as coastal pohutukawa) or above a height or girth threshold. The changes come into effect two years after the relevant provisions come into force. There is still time to stop the inevitable onslaught but it looks like a change of Government will be required. David Cunliffe has pledged to make this an election issue and to campaign to protect Titirangi’s trees. I believe that many locals will support him.